2 cups boiling water (plus 1-2 cups later to add later to make sure beans are moist) Note: you can use vegetable stock if you want. 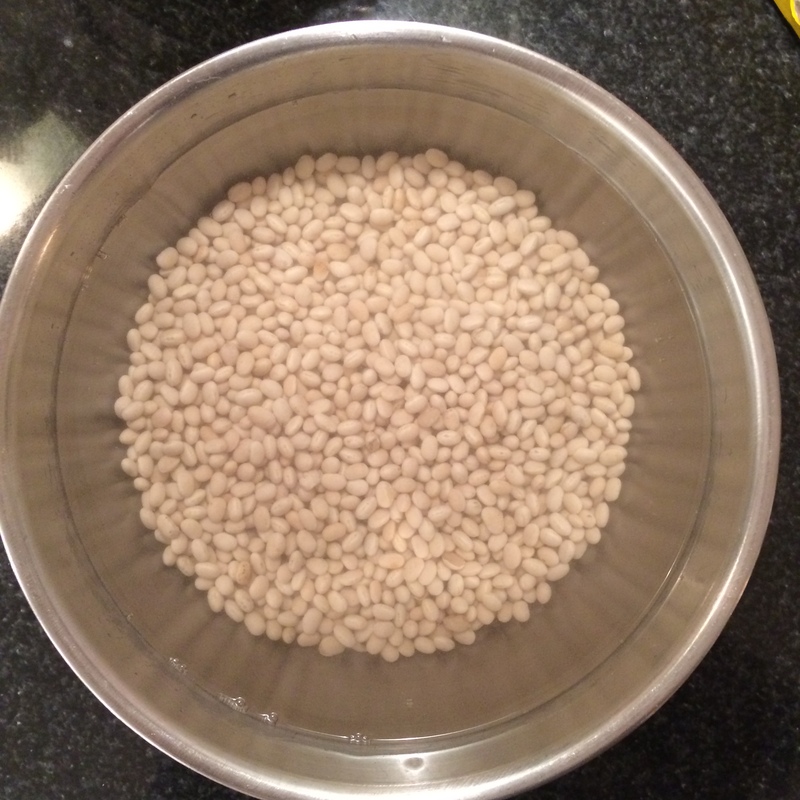 Put the dried navy beans into a bowl and cover with cold water. Make sure there are a couple extra inches of water because the beans will expand. Cover with plastic wrap and leave overnight. Start by straining and rinsing the beans. Next cut the bacon into small pieces. 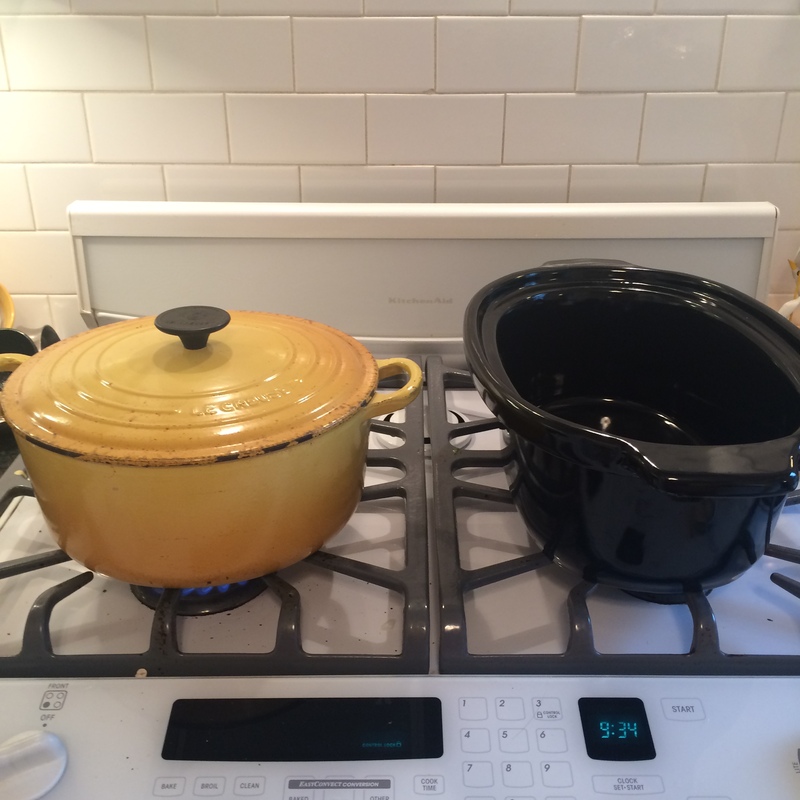 Heat up a large oven-proof pot on medium heat. Add the bacon add cook for about 5-7 minutes (you don’t want it to get brown and crunchy). 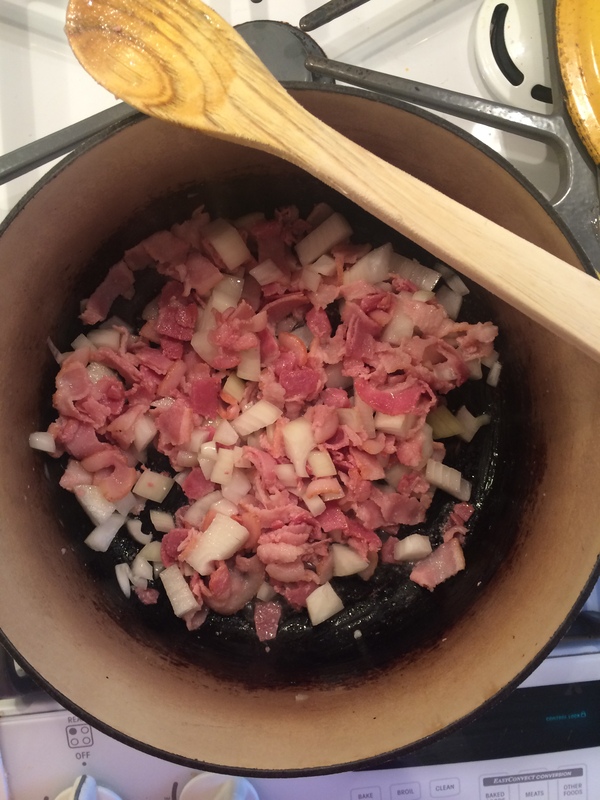 Using a spoon remove any excess bacon fat. 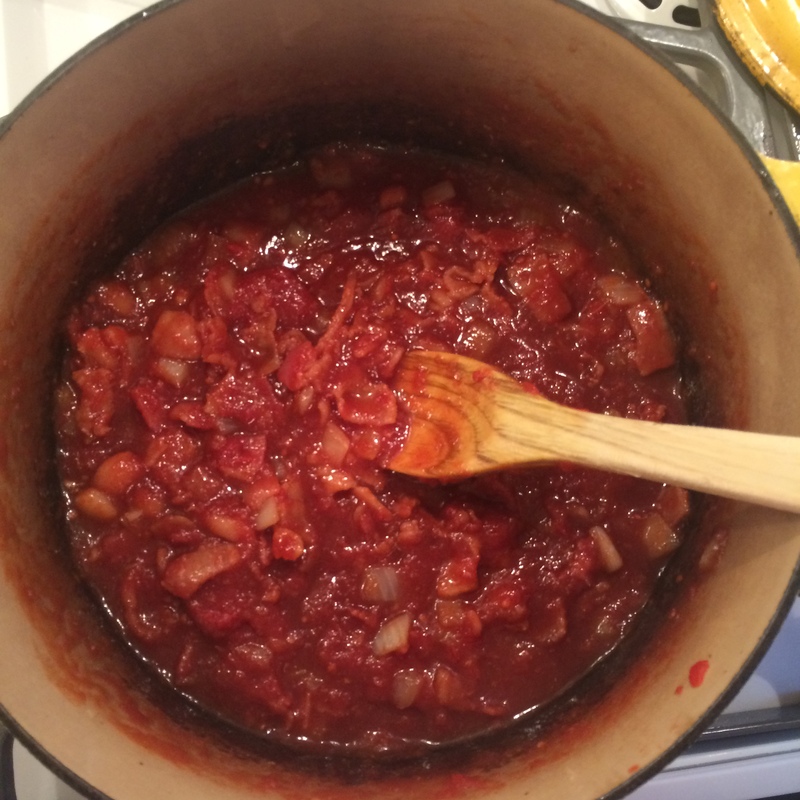 If you’re not too worried about fat content you can leave it in to add flavour (yum!) I personally like to spoon out about 3/4 of it and leave in just enough to help fry up the onions. Add the diced onions and cook until they are translucent. Add in the brown sugar, molasses, syrup, dried mustard, salt, pepper, tomato puree and tomato paste and bring to a boil. Add in the beans, baking soda and 2 cups of boiling water, or just enough water so the beans are completely covered. Bring to a boil. Now you might find the baking soda will ‘fizz’ a little bit, that’s ok. The reason I add in baking soda is to remove the “gas” from the baked beans (there is a reason they are called the “musical fruit”). Now you have two options, you can put a cover on your oven-proof pan and pop it into an 250 degree oven for 7-8 hours. 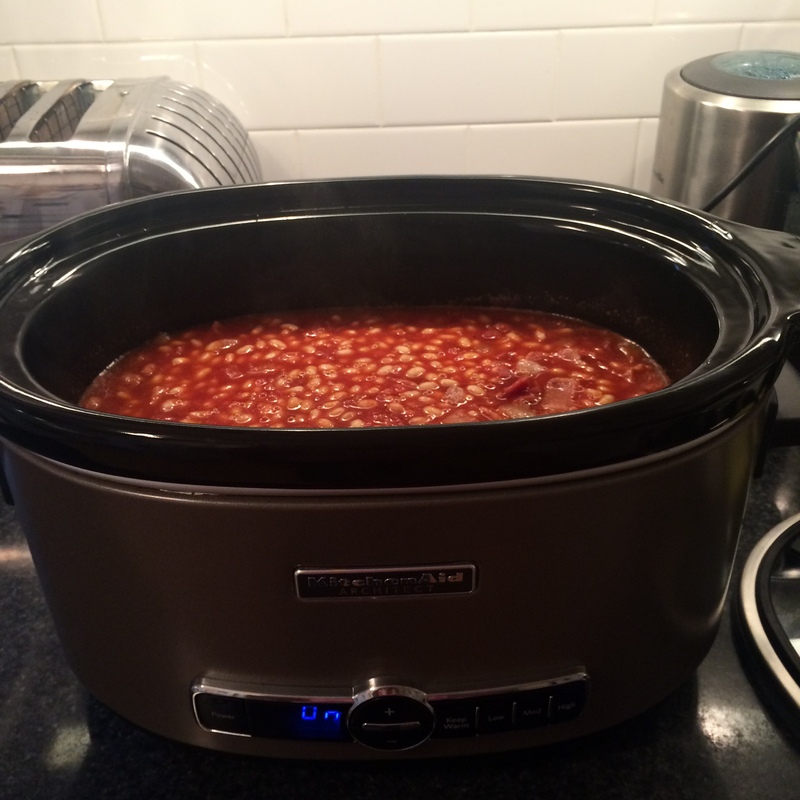 However, what I like to do is pour everything into a slow cooker and let the beans cook for 8-9 hours on high heat. Make sure to stir the beans a couple of times. And if the beans are getting a bit too thick add some more boiling water (or stock) until they reach a consistency you like. Make sure to taste them and test for consistency. Add salt and pepper as needed. 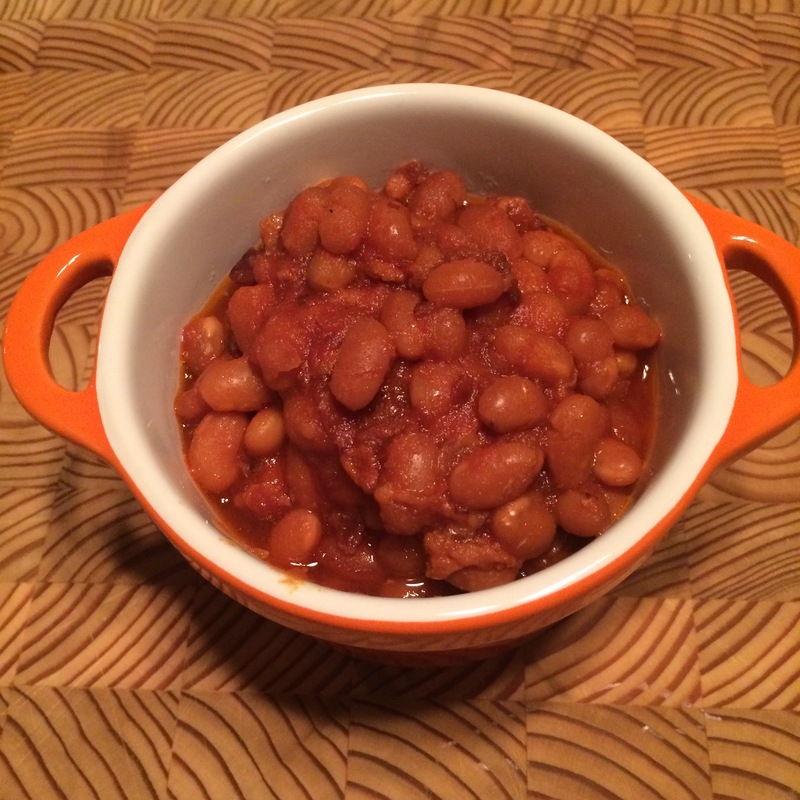 I know 2 days seems like a long time to make baked beans, but honestly, it’s not that much work and you will never want to eat a can of tinned beans again!